Even though the final round of quadrophilia wrapped up last week, once I got going I couldn’t control my urge to add more raisin soaked 11% abv beers to the list. There are after all only a finite number of quads out there, so by adding a few more one can start to approach a definitive list. In this post I profile an additional five quads that hold their own with the ten quads that competed in the first three rounds. 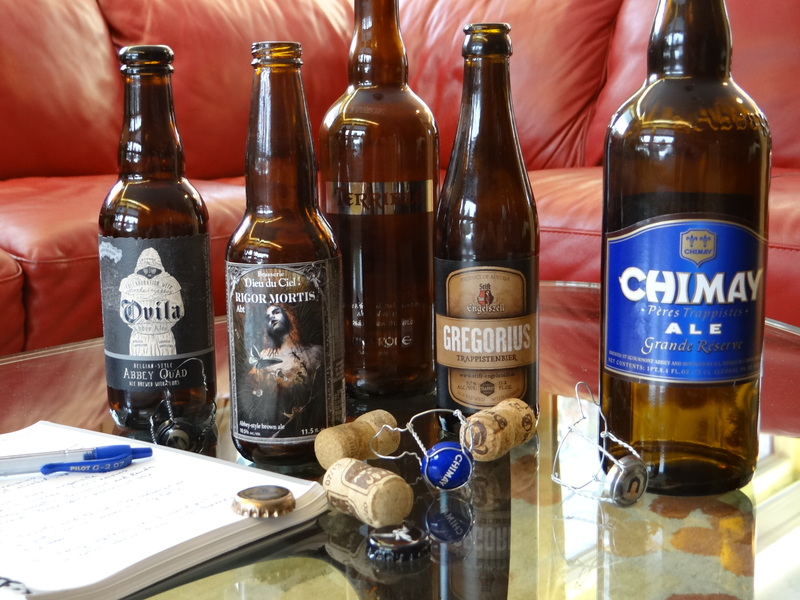 I don’t attempt to rank the beers in this round, however, I will soon be making a final post in this series where I merge these reviews with the results of the first three rounds to come up with a definitive rank ordered list of the best quads in the world that spans 15 different beers brewed in 5 different countries. 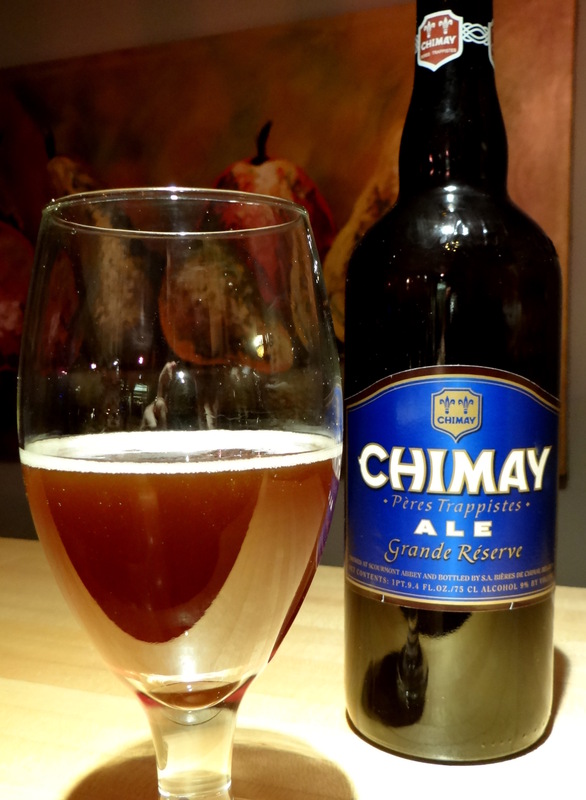 Chimay is perhaps the best known Trappist brewery, certainly the first one whose beers I encountered. Located in the south of Belgium near the French border, they are one of the oldest and largest Trappist breweries (Chimay, Westmalle and La Trappe each produce more beer individually than the other Trappist breweries combined). If you go to a good beer store you are likely to find three different color coded Chimay beers—Chimay Red (7.1% abv), which is a Dubbel, Chimay White (8.2% abv) or Cinq Cents, which is a Tripel, and Chimay Blue or Grand Reserve (9.0% abv), which can be considered a Quad, although the alcohol content is on the low side compared to the other Belgian Quads. The Stift Engelszell Brewery is a relative newcomer to the world of Trappist beer, first hitting the shelves in the US in 2012. It is the only Trappist monastery in Austria. They make two beers, Benno, a golden dubbel that is 7.2% abv (see a review of Benno in the Beer Review section) and Gregorius, which is 9.7% abv. 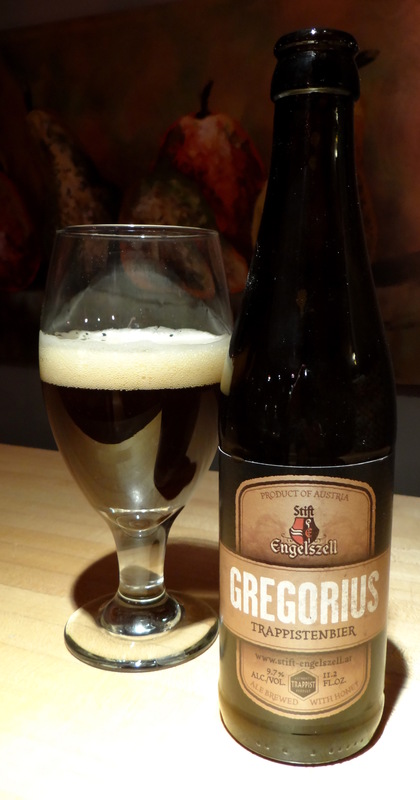 The Stift Engelszell website describes Gregorius as a dark Tripel, but I would argue it is effectively a quad. It is made with organic honey from local beehives around St.Engelszell and relies upon an Alsacian wine yeast to carry out the fermentation. Unibroue is a Canadian brewery located in Quebec and known for producing an excellent line of Belgian-style ales. Their Tripel, La Fin du Monde, is the highest rated Tripel on BeerAdvocate, and their Dubbel, Trois Pistoles is a personal favorite. We’ve already encountered a Unibroue brewed concoction earlier in the contest with the Trader Joe’s Vintage Ale. 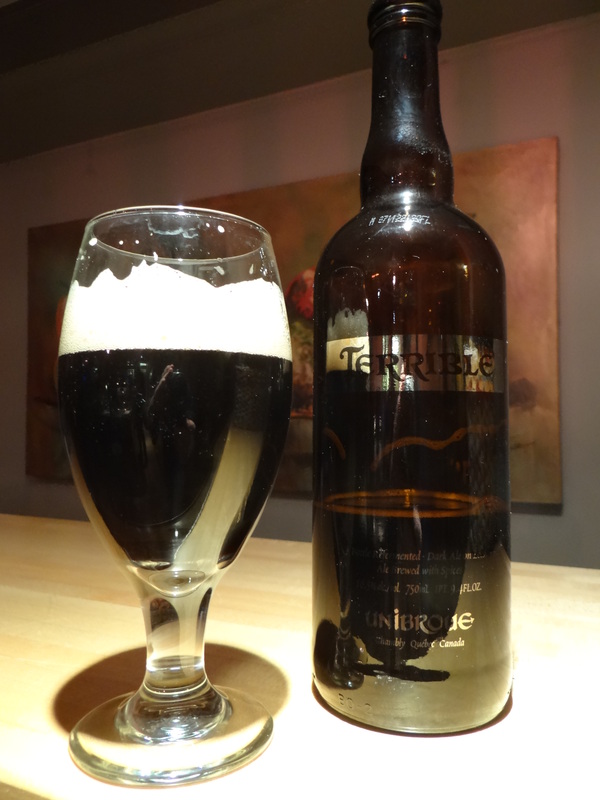 At 10.5% abv La Terrible is the strongest beer in the Unibroue line-up. This beer is a collaborative effort between Sierra Nevada Brewing and the monks of the Abbey of New Clairvaux, located in Vina, California. Ovila is made with four different types of malts (two-row Pale, Munich, Chocolate and Caramel) and sugar plums grown on the Abbey grounds and harvested by the monks. Partial proceeds go toward rebuilding the Santa Maria de Ovila monastery, whose bricks were shipped from Spain to California by newspaper magnate William Randolph Hearst in the 1930s to build a castle. When those plans fell through the bricks were given to the Abbey of New Clairvaux. A portion of the proceeds from sales of Ovila go to the monks to rebuild the monastery. This quad is made by another Canadian brewer, the Montreal-based Dieu du Ciel brewery. They make a wide variety of beers, some of which are highly regarded (perhaps none more so that their Imperial Stout, Péché Mortal) but this is the first Dieu du Ciel beer I’ve tried. 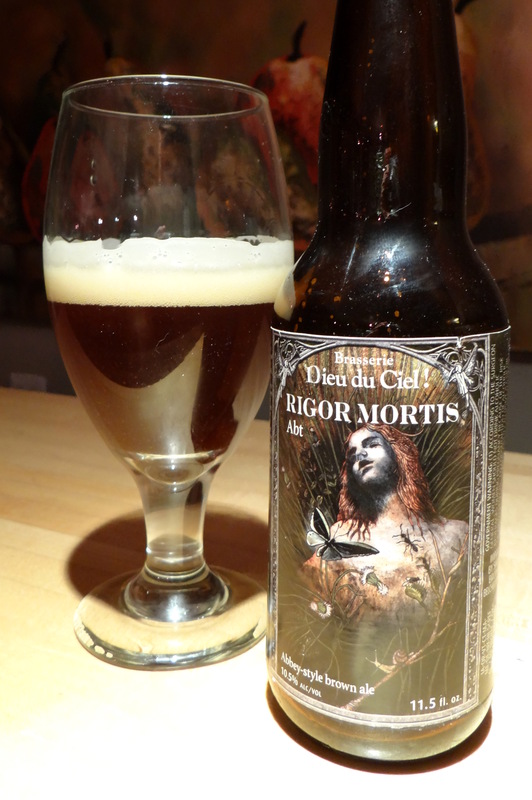 Rigor Mortis Abt is brewed only once per year and released in January. The brewer recommends aging at least six months, but Dieu du Ciel beers sold in the US aren’t date stamped (confusingly there are two notches on the side of the label which signify a batch number rather than a brewing date), so who knows which January the two beers that I purchased were brewed. This beer has the same look, smell and taste as its dark fruit Trappist brethren, but it is a scaled back/lighter version in nearly every way. The color is a little lighter, the alcohol content is lower (9% abv), the calorie count is lower (270 vs 340 for Rochefort 10) and the nose is more subdued. Nowhere are the differences more evident than in the lighter body and mouthfeel. After conditioning your palate to the other quads in this contest, Chimay Grand Reserve tastes like someone cut your Quad with some soda water to stretch it a bit further. It’s not all bad though because CGR retains the dark fruit flavors and spicy yeast goodness of the Quadrupel Ale style and pairs them with higher drinkability. If you find Quads a bit too thick and heavy handed this would be a good choice for you. Think of it as Rochefort-light. When I opened up this beer some off-white head started slowly snaking out the neck of the bottle. Once you corral it into the glass you are left with a nearly opaque dark brown liquid with a substantial head. The nose has the expected profile for a beer in the Westvleteren school of quads—rich dark fruits, roasted malts, and spices. The taste follows suit with a nearly perfect balance between the dark fruits and the malts. The honey sets it apart from all of the other quads and helps keep the raisin/plum flavors from dominating. There’s a hint of spicy phenols at the finish and with the exception of a little warming at the very end the alcohol is completely hidden. The mouthfeel is smooth and thick, with just the right amount of carbonation to keep it from becoming too heavy. There is no question that this beer belongs in the conversation when discussing world class Belgian quads. Depending on your preferences you might feel the honey makes it a tad too rich and sweet. Personally I think the honey and malts make it a little more interesting and complex than St. Bernardus and Rochefort. La Terrible is dark in color, close to black, and nearly opaque. The nose is a little subdued and the taste matches the typical Unibroue profile. Those who are familiar with their beers know what I mean, but for everyone else I’ll take a stab at describing this taste—chocolate without bitterness, which makes it more like milk chocolate than dark chocolate, dark fruits (raisins, plums), accented by spice notes of which clove is the most discernable. The flavors play together nicely, and the chocolate/dark fruit combination is reminiscent of Pannepot, but the flavors are a little more subdued here. The alcohol is well hidden and the drinkability is respectable for a Quad. This is a solid beer that is true to style. If you like other Unibroue beers you won’t be disappointed with this one. This is a dark, nearly black beer that initially pours with a decent head that quickly dissipates. The aroma and taste of this beer are very much true to style—dark fruits, dark roasted malts, and complex flavors from the yeast. The alcohol shows through a bit more than in some of the quads, but not to the point where it becomes distracting or overpowering. The taste becomes a little cola-like in the mid palate before finishing relatively dry (for a quad). Dark fruits play a prominent role here, but despite the use of sugar plums in brewing the dark fruit flavors here aren’t much different than you find in the Belgian quads made without fruit. 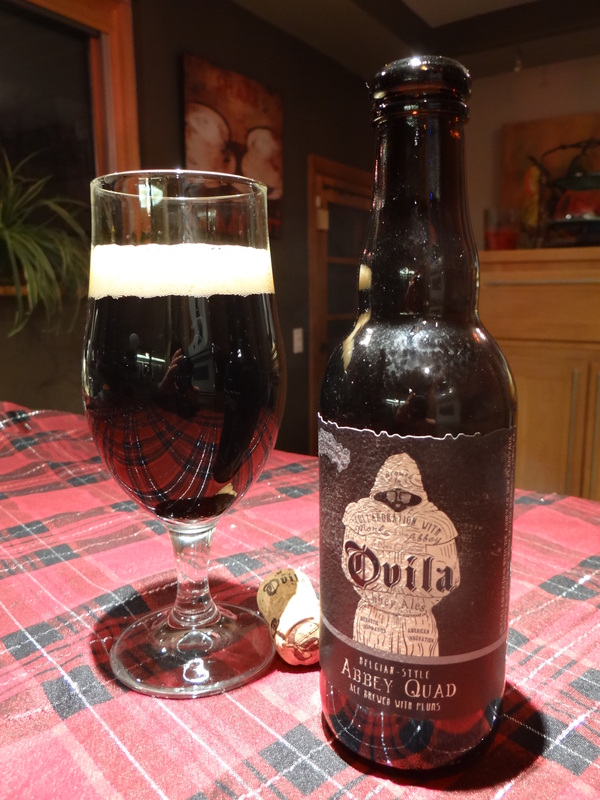 There is absolutely no question that of the US brewed quads Ovila comes closest to the Rochefort/St. Bernardus style. It would be interesting to do a blind taste test with Ovila and those beers, I’m not sure I could tell them apart without some training. It’s worth noting that Ovila is $3.50 a bottle while Rochefort and St. Bernardus are on the order of $6 for an 11-12 oz bottle. This is a great beer and a good value. Dark brown with golden highlights on the edges, Rigor Mortis is not as dark as Ovila and La Terrible. The nose on this beer is complex and inviting. As with Ovila this beer has a taste profile that closely approximates the dark Belgian Quads, rich bready malts with a big dose of dark fruits, quite a bit of spiciness and complexity from the yeasts, and very little bitterness. The dark fruit base is highlighted by a distinct caramel/vanilla note that sets it apart from all of the other quads I’ve tried. The flavors here are extremely well blended and the mouthfeel is thick but smooth. There is some sweetness that is not overdone but gives it a rich dessert character, similar to the Gregorius. You don’t hear too much about this beer but for my money it is neck and neck with Ovila for the best quad brewed on this side of the Atlantic and it holds its own with the Quads of Europe. We found some gems in this last batch that would have competed well in the earlier rounds. 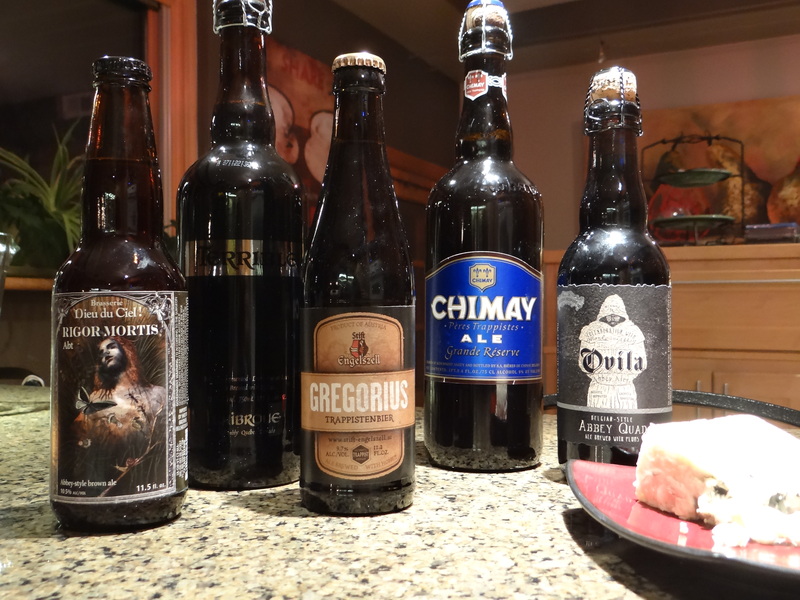 Ovila stands up well to the big boys from Belgium, and both Rigor Mortis and Gregorius are rich, delicious, dessert-like treats. Be sure to come back for the final post where I rank order all fifteen quads that were part of Quadrophilia.